Stress is an inevitable part of life, but it’s chronic stress that we really have to watch out for. Chronic stress can cause hormone imbalance, weight gain, low energy levels, and can increase inflammation in the body. Being chronically stressed can also cause the body to be stuck in a fight-or-flight response which can make us feel on edge and just downright irritable each day. While we all know that too much stress can cause health issues, daily stress reduction techniques don’t always come easy as many of us live super busy lifestyles. It may be hard to find time to do yoga or meditation each day. While these are great ways to reduce your stress, they may not be realistic for every day. The good news is that there are other unconventional ways to help you combat stress that you may find a little easier to add to your day to day routine! 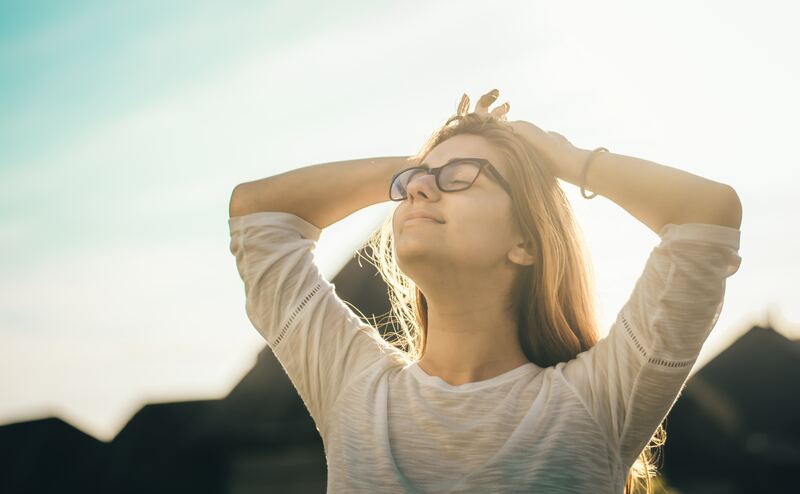 Let’s take a look at these four unconventional stress reducers, and see if these are some things you can find time to do to help reduce the chronic stress in your life. #1 Try Adaptogens: Something as simple as taking an adaptogenic herb blend each morning can really help support your body’s stress response. Adaptogenic herbs like the ones found in our Yinergy and Vigor blends can help support hormone balance and may even help you feel less stressed while also helping you feel more productive each day. Try supplementing with an adaptogenic herb blend to feel your best each day. #2 Try Vitamin C: Vitamin C plays an important role in supporting the immune system, and when the body is under chronic stress, your immune system can suffer. Adding vitamin C-rich foods like strawberries, grapefruit, and broccoli to your diet can help support your body through periods of excess stress. #3 Schedule Time to Allow Yourself to Just be Each Week: Make it a point to schedule some time to allow yourself to just be present each week. Think about something that you really enjoy doing, and something that helps you feel less stressed, and strive to do that each week. Make sure to schedule it into your week, so you are sure to stick with it. Don’t put too much pressure on what it is, but even just a twenty minute walk with a friend, or a lunch out can be what you need to get yourself out of that state of chronic stress and tension. #4 Make Mealtimes More Mindful: With life being so busy, you may find it difficult to find time to be mindful each day, and scheduling in time for mindfulness can feel stressful due to a lack of time. A great way to be more mindful throughout your day without adding extra stress is to make mealtimes more mindful. Really take the time to slow down as you eat and enjoy each bite you take. If you can slow yourself down each time you sit down to eat, you may feel less tense, and you can also help to train your body into being more mindful during other times throughout the day as well. If you are dealing with chronic stress, know that you are definitely not alone, and that there are ways to get your stress under control that doesn’t require a ton of extra time in your day. Try implementing these tips on controlling your stress, and see how much better you feel each day!